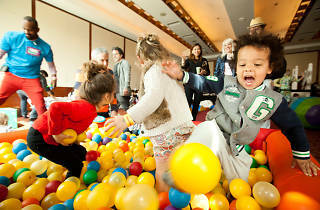 The Children’s Museum of Manhattan will host its annual benefit event of fun and games for the whole family. Nickelodeon will headline the festivities with live entertainment, costume characters from "Paw Patrol" and "Shimmer and Shine," and an appearances by New York Giants long snapper Zak DeOssie and Knicks legend John Starks. 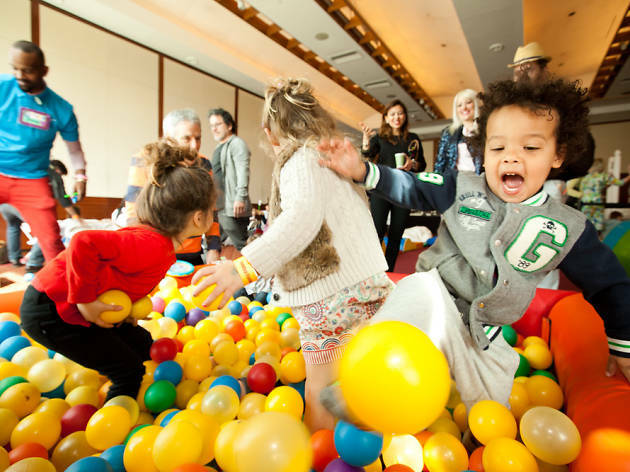 Kids can get their creativity on with Play-Well TEKnologies, a mini-monster maker, and art and science workshops. Soft play areas and sing-alongs will keep toddlers entertained while mechanical rides and bouncy castles will be a riot for the older set. The museum will also premiere its new interactive video Dance Portal at the event. Face painters, a mini race car track, a Tegu block area, a photo booth and a dance party will round out what’s sure to be a memorable Sunday. Food and drinks included with ticket. Ages 12 and under.